Get a TimeWaver Biofeedback Holistic Health testing, it is the newest Body Scan biofeedback health testing machine in USA! Many clients the Body Scan biofeedback health Testing. I have been doing this for 13 years, but I’m happy to announce the new TimeWaver biofeedback health testing machine. Why? It is easy, done anywhere, anytime, quick, non painful, a high value scanning 550,000 items, creating your specific homeopathic remedy balancing 6 levels for an affordable price of $90, with your photograph, a nail or hair sample, name, address, email and no hook ups to myself nor you! The TimeWaver Biofeedback Holistic Health testing uses your DNA and photo to analyze 550,000 items, including all your organs and systems. It balances you on the physical, mental, emotional, spiritual, economic and relationship levels (plus your business and home if you ask for this in addition). One thyroid panel cost me $250.00 not including the remedies to solve my issues. This TimeWaver biofeedback health testing includes all your organs, endocrine, and systems. Not only does your body find via the TimeWaver, what needs balancing, it gives you the solution by creating a specific homeopathic remedy. The best part is (for many clients) no more bottles, shipping, waiting, and remembering to take remedies for your self, kids, pets, parents etc, nor expense!!! Why? Taking remedies with the TimeWaver biofeedback health testing has never been easier, just relax and sleep at night knowing that you are being sent the homeopathic remedies and receiving them while you sleep for 30 days. Yea! For myself, I have no more forgetful clients, nor dogs hating the alcohol drops! I measure and see how well your body takes in the homeopathic light sent, some people start with bottles, then crystals and eventually are able to just receive the homeopathic light. It seems to depend on past programing who can allow themselves to have what. The homeopathy in the bottle is light frequencies, the homeopathy through the air, is light frequencies. I sent homeopathy for 12 years to clients in emergencies at hospitals etc. with fabulous results of clients being released from the hospital alive. The TimeWaver biofeedback health testing machine, a $31,000 USD machine is a quantum physics success and a way of the future enabling us to organize more clients with very specific remedies, often 25 to 50 homeopathic remedies, 85% to 100% effective being sent to balance your body. The guesswork is taken out, your body knows what it needs. I send you an email summary of the most important homeopathic light frequencies sent supporting you normally on 6 levels, the physical, mental, emotional, spiritual, business or financial, and relationships. I find this helps people to focus on what is important and not get caught up trying to understand the computer language. Your body wisdom knows what it needs, selects what it needs and will receive what it asked to receive. Your job is, is to sign a waiver form, and do an progress form located on the resources tab under health forms. If you like to know your progress and this helps you, please rate how you perceive your health, notice changes and at the end of 30 days rate your self again to notice the results. There is also a form giving you directions for attaining optimal health, and a chart to remind you of what you can do to support yourself each day. The TimeWaver biofeedback health testing is $90 including up to a ½ hour of phone, skype calls, email communication, plus you receive videos showing you haw to do psychological homework balancing mental, emotional sources of your imbalance. I charge $3 a minute if you want to have additional time doing psychic surgery, checking vitamins, herbs, asking questions about whatever you would like to know. I support everyone to gain holistic optimal health and keep fine tuning your body with a monthly TimeWaver biofeedback health testing for 8 months or a year or buy the crystal program homeopathy which is a generic healing system. I find the irony of many sick people being that they would choose to die rather than risk trying a new invention! 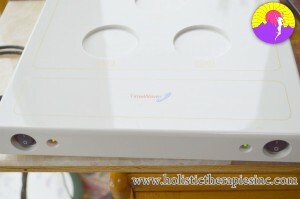 When I was sick, I did everything, and the holistic method using this TimeWaver biofeedback health testing machine works for myself, my family, my dogs, my friends, and my clients. 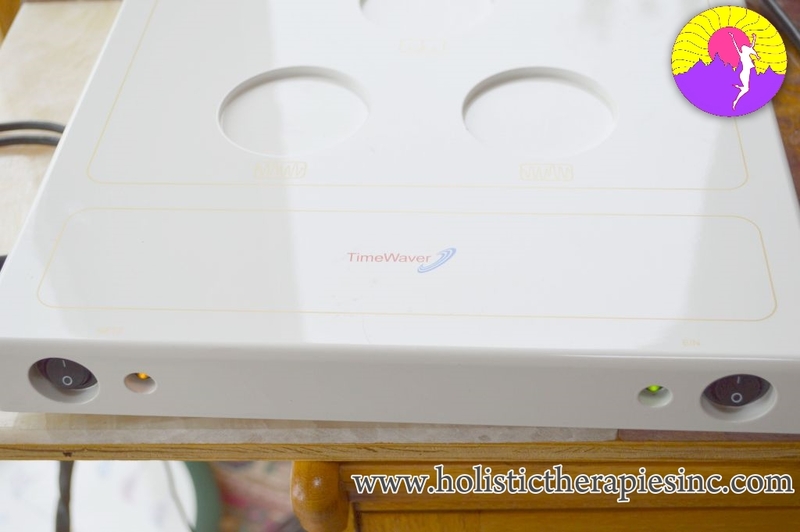 I spent $31,000 buying the TimeWaver biofeedback machine because I wanted to receive and give the most affordable, most specific, most effective, easiest holistic health system to myself and others. Please take advantage of this TimeWaver biofeedback health test.